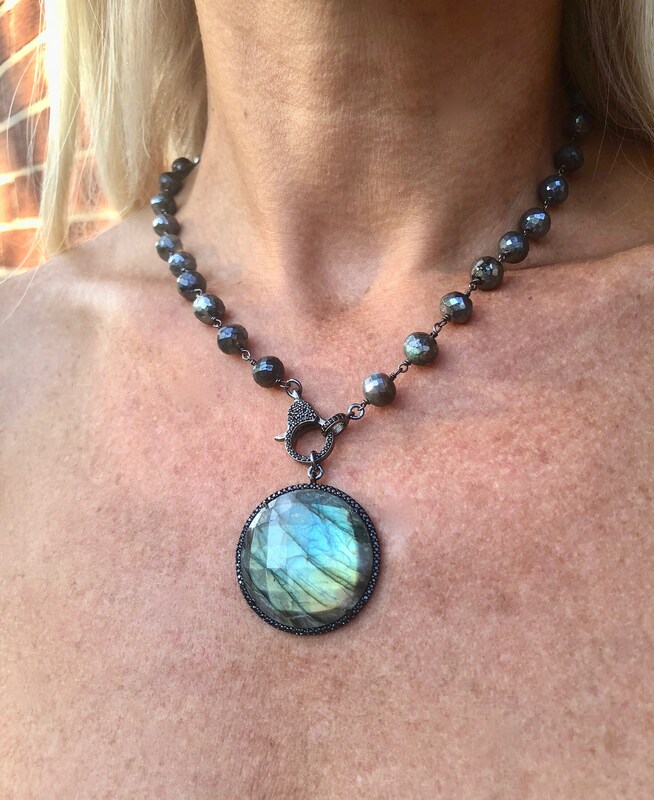 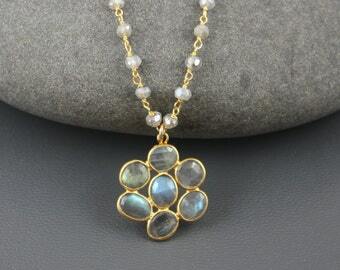 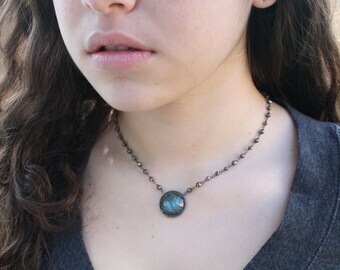 This statement Labradorite necklace features a large flashy labradorite pendant with black onyx pave around the stone. 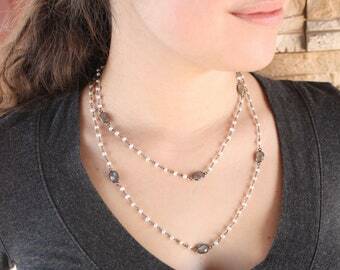 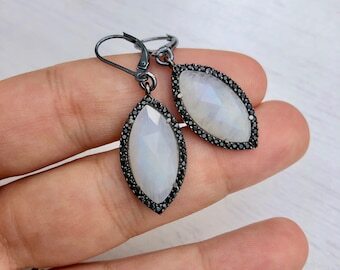 It is all set in 925 Oxidized Sterling Silver. 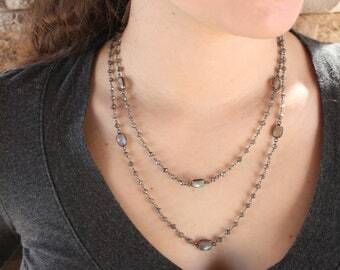 The Pendant is suspended from a large beaded chain wire wrapped in oxidized silver. 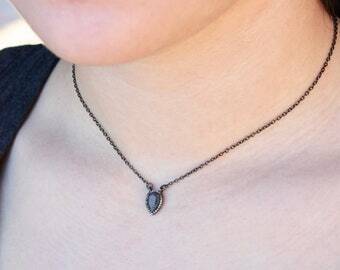 The Necklace closes with a magnificent fancy lobster clasp covered in onyx pave. 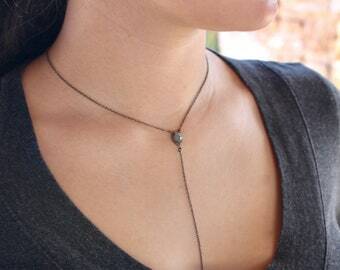 The clasp serves as element of design, as it also is in charge of holding the Pendant. 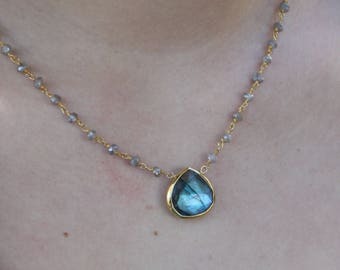 This Necklace can be worn with or without the Pendant. 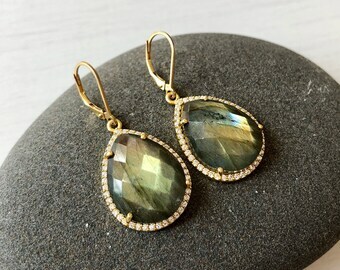 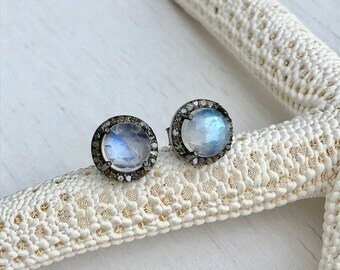 Ideal for the Mother of the Bride, for a fancy part of event. 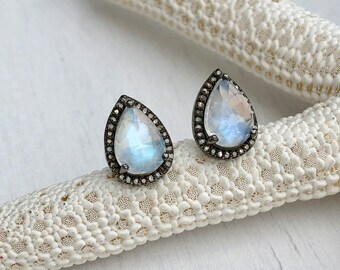 It is also really eye catching with a blazer, jeans and high heels for a night out with friends. 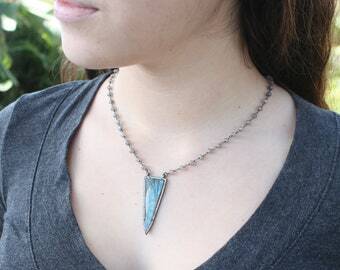 This necklace is guaranteed to turn heads.